This post is a continuation of my 8 Vegetables You Can Grow Over and Over Again series we did earlier this year on the blog. Check it out! ​Most of us gardeners, whether beginners or veterans favor annual veggies that we have to re-start year after year. While this is great for some of the classic veggies that you’ll want to have every single year, you can take a load off of your gardening shoulders by incorporating more perennial vegetables into the mix. There are plenty of vegetables that you can overwinter that will go dormant during that time and come back to life in the early spring…completely deleting the seed starting phase for you! If you build out a couple of dedicated beds as a perennial vegetable section of your garden, you can start producing ​a lot of low-effort food for your table! We’re starting off with asparagus because it’s one of the most popular perennial vegetables out there, surging in popularity in the last couple of years even in restaurants and kitchens across the nation. The problem with asparagus is that it requires massive amounts of patience before you’ll be able to taste the fruits (or veggies) of your labor, because it takes a couple season before it starts to produce for you. 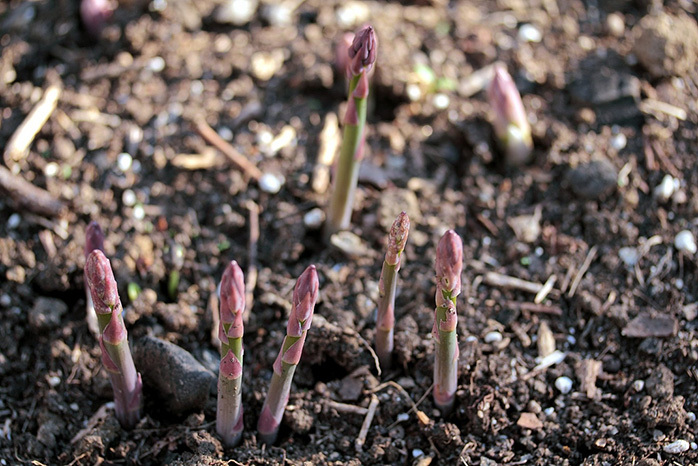 Decide where you want to plant carefully – your asparagus bed will last for 20+ years! Starting with asparagus crows gives you a minimum of a 1 year head start! 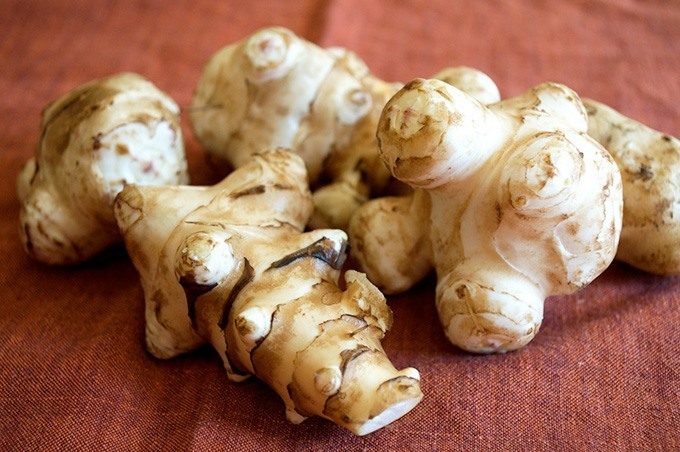 ​Many gardeners might be unfamiliar with the humble sunchoke, also known as the Jerusalem Artichoke. It’s no wonder they’re most often referred to as sunchokes, as they look nothing like the classic globe artichoke at all! These perennials are actually relatives of the sunflower and produce a tuber that looks somewhat like a ginger root. They’re crisp, sweet, and a great perennial addition to any garden. A lot of chefs find the flavor mild yet nutty which makes for a unique flavor in any dish. The plant itself can get to be pretty tall, so planting it around the border of your garden is probably the best bet. Plant in a dedicated bed as they will be around for a while! 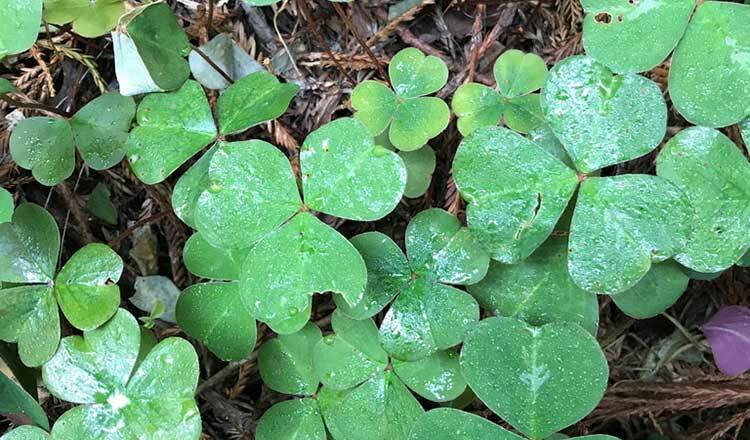 ​Even less well known than the sunchoke, the groundnut (or Indian potato) is a perennial that you should consider adding to your garden. The plant produces two edible parts: the tubers and the beans, which makes it a dual-purpose plant that’s a high producer. 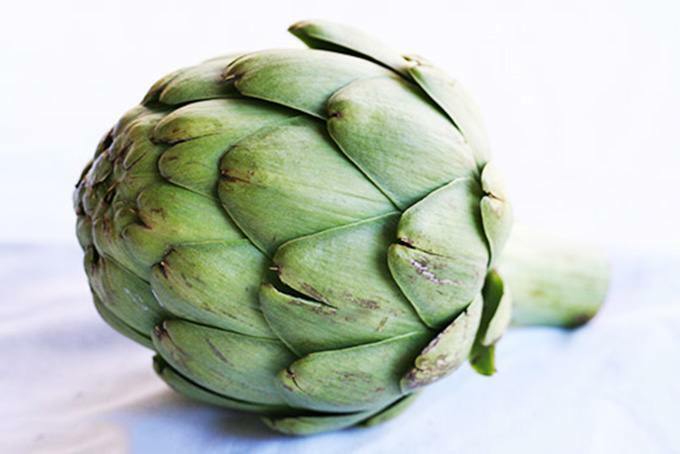 ​The globe artichoke is another famous perennial that grows in an extremely interesting way. It looks almost like a large cactus, and takes a while to produce. As a large plant, you’ll want to make sure that you leave ample room in your garden for them, often putting them in their own dedicated bed as they’ll be around for quite a while. ​Finally, a perennial that can be used in desserts as well! 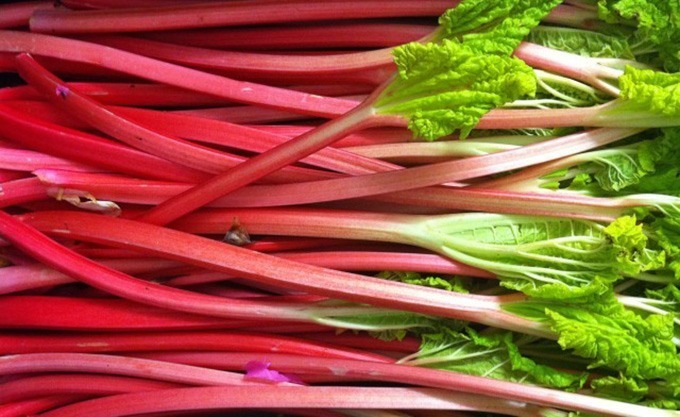 This colorful addition to the garden comes in red, green, and pink varieties and, like asparagus, is best planted from a crown you can buy at a garden store. Like asparagus, you should wait to harvest it until a few years have past so its roots can become established. 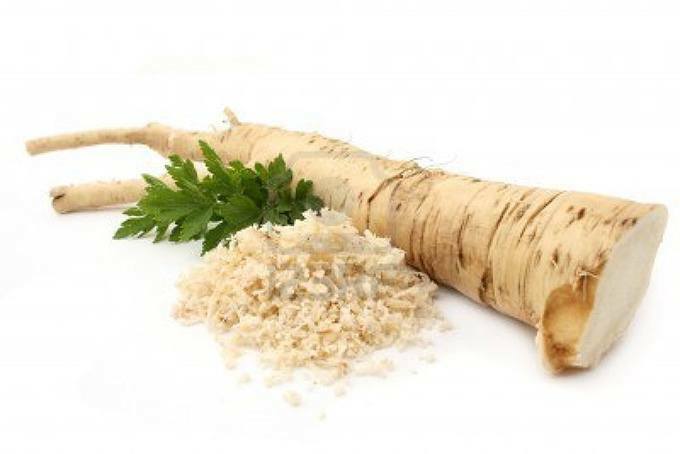 ​While horseradish barely qualifies as a vegetable, it’s still a perennial and makes the list. It’s from the mustard family which is why it has that signature mustardy kick to it and is extremely popular amongst sushi lovers and spice fanatics. You can also eat the leaves, though the roots are obviously the more popular part of the plant. 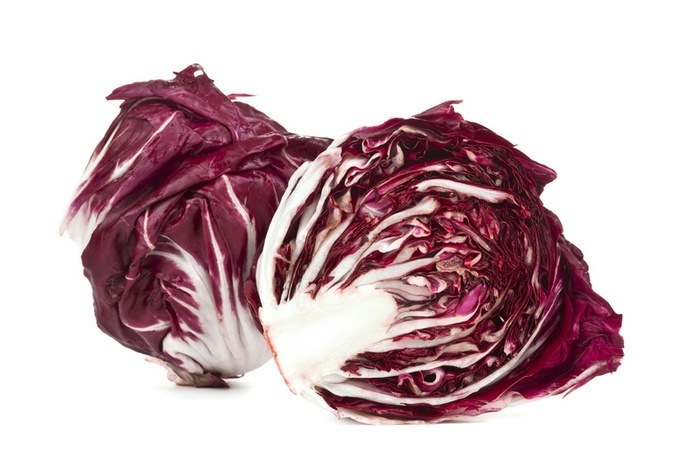 The humble raddichio (also known as red chicory) is an under-appreciated perennial vegetable that’s extremely popular in Italy but hasn’t seen as much love in other countries. Still, it’s got an amazing color and tangy taste that make it a must-have perennial for the garden. 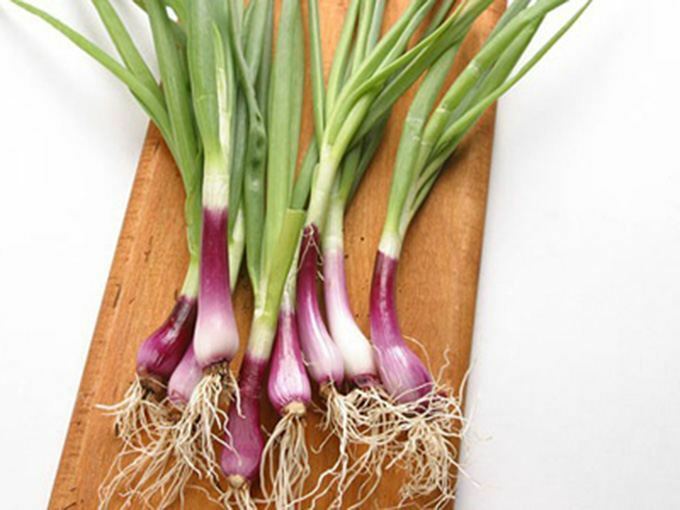 These members of the Allium family are familiar to almost anyone who’s ever been to a grocery store or done any cooking at home. 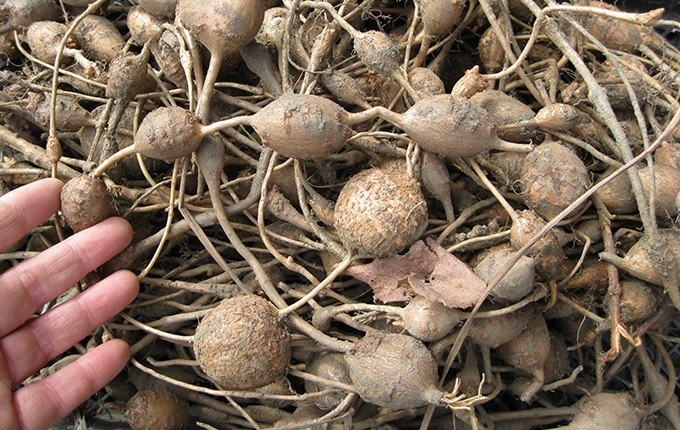 The only difference between these and bulb onions is the way that they’re planted and harvested. One of the only true herbs on the list, sorrel is super-easy to grow and makes for a great beginner perennial herb to add to your gardne. It’s got a great lemony flavor that work well in soups and salads sparingly as an accent flavor to round out the flavor profile of the dish. Thank you! 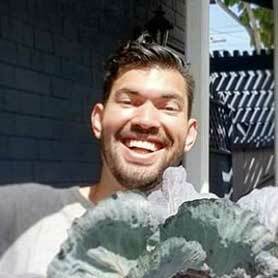 As an inexperienced gardener, I found this article extremely helpful.